Gold medal award for everActive charger at the FVF trade fairs! We are pleased to announce that during the 19th edition of FILM VIDEO FOTO trade fairs our charger was awarded with the gold medal for the best Polish product in the PHOTO category. 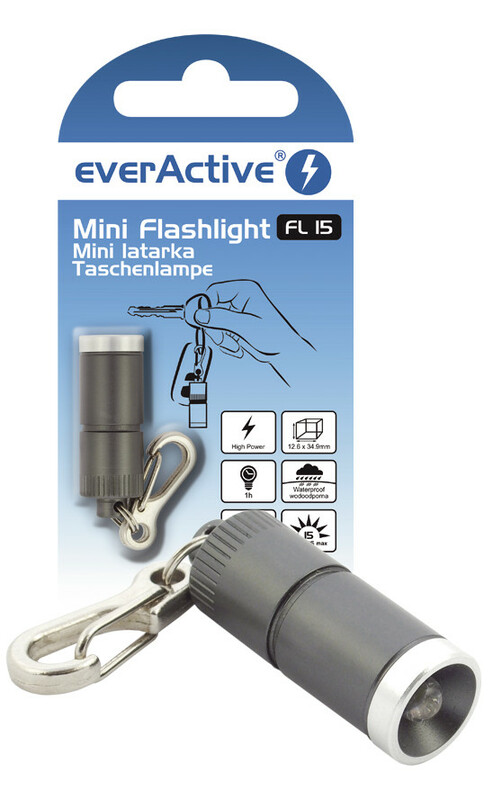 We have the pleasure of presenting a new everActive flashlight FL-15 - an exclusive, well-made key chain. The flashlight generates a surprisingly strong light beam. Despite its tiny size FL-15 is able to output 15 lumens, which is still offered by a lot of low-budget, full-sized flashlights. The new everActive flashlight key chain is a mandatory accessory for any household. 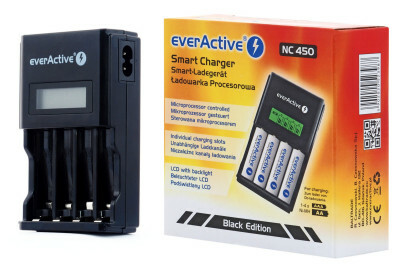 Our extremely popular NC-450 charger becomes even better. To meet the expectations of our customers we have decided to improve the appearance of the device. The charger has received a new, black body, which is made from a solid ABS polymer. We are pleased to inform you that the English version of our website is already online. All existing contents were transfered and translated. Excellent and reliable bike lights are not only a cool gadget but also an important safety feature ensuring road safety. For the upcoming season everActive is introducing a couple of new products that with the combination of FL-300 flashlight will create a great set improving visibility on the road. - special adapter for the everActive FL-300 that allows for powering the flashlight with an 18650 battery instead of three AAA batteries.